Типичный извержения стиль: Explosive eruptions. Infrequent but violent explosions with large amounts of ash and pyroclastic flows generated. 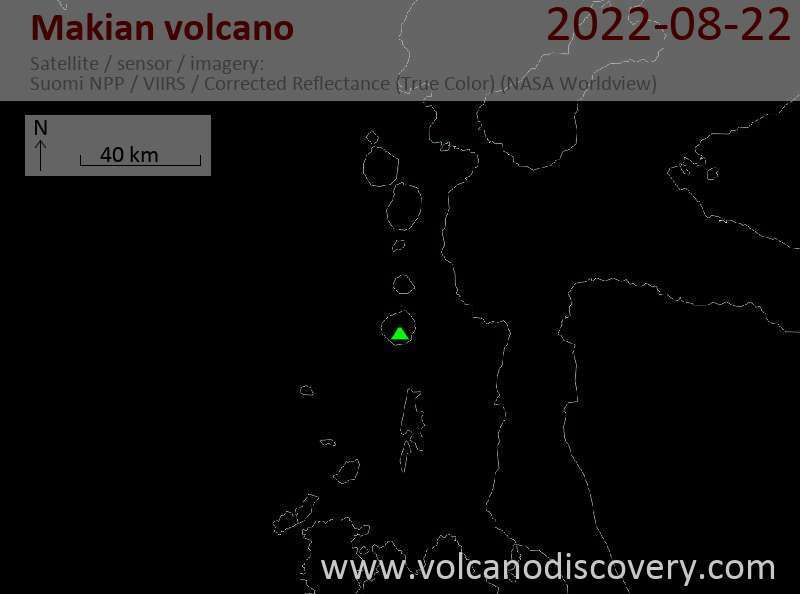 Makian volcano forms a 10-km-wide island near the southern end of a chain of volcanic islands off the west coast of Halmahera. The large 1.5-km-wide summit crater, containing a small lake on the NE side, gives the 1357-m-high peak a flat-topped profile. Two prominent valleys extend to the coast from the summit crater on the north and east sides. Four parasitic cones are found on the western flanks. 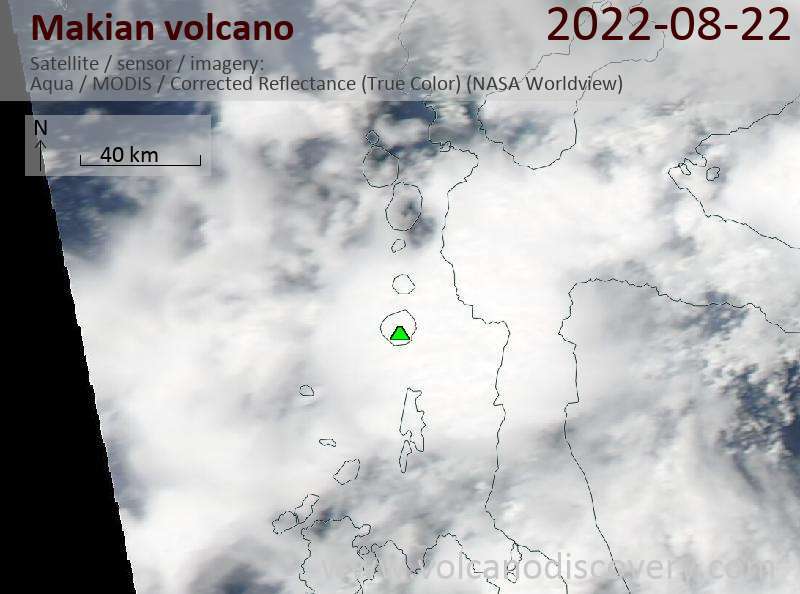 A white steam plume appeared on Makian volcano on 17 July 1988. At night, glow from the crater was visible indicating a new eruption. 15,000 people evacuated to to Moti Island 10 km to the north. On 29 July an explosion produced a large ash plume reaching 8 km height and drifting 100 km SW. On 30 July, pyroclastic flows (nuées ardentes) reached the sea. Eruptions continued until August 1988, after when the eruption started to die out. In June 1976, local authorities believed an eruption of Makian could be impending and ordered the evacuation of 3,250 families. It turned out later that the seismic activity prompting this measure had been tectonic and not related to the volcano. No eruption followed.